You take your child to the pediatrician for health care needs that require age-based specialists, and you should treat your child’s oral health needs no differently. Without proper dental care, your child is at risk for developing oral health problems that can cause the need for a lifetime of treatment. Luckily, they can receive specialized and gentle dental care from our kind and caring pediatric dentist. Pediatric dentistry focuses on providing gentle and compassionate dental care to children from infancy through adolescence. Unlike regular dentists, pediatric dentists possess the experience and qualifications that are necessary to take care of your child’s teeth, gums, and mouth throughout the various stages of childhood. According to the American Dental Association, your child should visit a pediatric dentist as soon as their first baby tooth erupts or by the time they turn 1-year-old. While baby teeth are temporary, getting an early start on excellent dental care and hygiene practices is essential to ensuring your child’s optimal oral health for life. 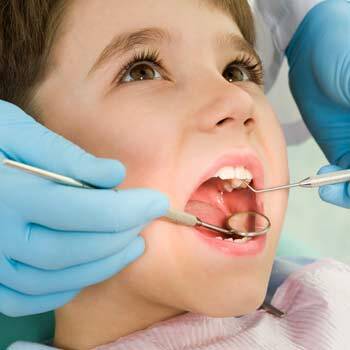 For the best pediatric dentist for your child, look no further than MAC Dental Care. Our experienced pediatric dental team understands the unique needs of primary (baby) teeth and how best to preserve your child’s oral health as they grow. Contact us for more information or to request an appointment today.